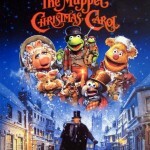 All of the lovable characters of the Muppets turn out for this movie in the place of various characters, and Michael Caine plays a chillingly, miserly Ebenezer Scrooge. Kermit the Frog is Charles Dickens, the story teller and narrator throughout the movie, with Rizzo the Rat as his side kick. Together, they tell the story of how Ebenezer Scrooge is cruel to his employees, Kermit the Frog (as Cratchit) and the other rats. 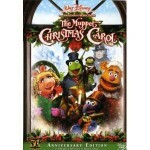 An adorable Muppet Christmas classic that is both hilarious and heart-warming – a sure crowd pleaser! 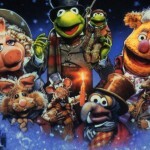 In this movie, Kermit and the gang must try to save the Muppet Theatre from being foreclosed on right before the big Christmas extravaganza. Kermit is losing his Christmas spirit and all hope… can someone help? 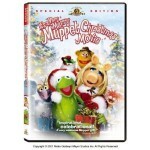 Filled with both the classic Muppets characters and an all-star cast that includes John Cusack and Whoopi Goldberg, this is a great addition for your holiday movie collection. 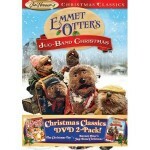 This is a truly delightful Christmas show with Emmit Otter and his Jug Band on Christmas! These puppets are musical, whimsical, and so so heart warming, following the story of Emmet and his Ma, and their friends – they may be poor, but they are truly friends and family, struggling to make ends meet. Emmet and his Jug Band decide to enter a talent contest to try to win some money so that they can do something nice for Christmas. It’s a wonderful story with many great pieces of music and interaction between all the animals in Frogtown Hollow.